–A tuner that can be attached to the sound hole. 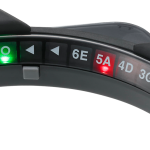 Since the KORG AW-1 appeared, clip-on tuners have been the standard for tuning an acoustic guitar. However, some guitarists may feel that a clip tuner attached to the headstock is too distant from the eye, and that it’s annoying to have a tuner attached to the headstock. 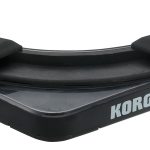 KORG has responded by releasing a revolutionary new tuner. The Rimpitch is a unique tuner that you use by attaching it to the sound hole of your acoustic guitar. It provides an incredibly convenient viewing angle, since you can see the tuning meter within the natural angle of your sight. With a compact size, it’s visually unobtrusive since it fits inside the guitar’s sound hole and besides being easy to fit and remove. You need to check it out! This entry was posted in Accessories, Accessories Korg, Korg and tagged Tuner.